Experiencing true Irish American culture goes far beyond what you can read in a textbook. Millions of Irish Americans explore Irish heritage and culture by attending Irish American schools throughout the country, learning everything from Irish American dance, to Irish American music, to the Irish language. American Irish education has become so popular that you’ll find Irish American schools in just about every state. 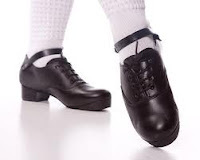 The following is a comprehensive list of American Irish dance schools, American Irish music schools and American Irish language schools throughout the country.